Mercedes-Benz Malaysia (MBM) kickstarted the year with the launch of five new models in the first quarter of 2019 and looking forward to enhancing the brand experience with innovative mobility solutions, exciting new products and engaging experiences through our customer services. MBM retained its number one premium market leadership position with a total of 2,944 vehicles delivered to customers in the first quarter and a best-ever sales in March with 1,334. Mercedes-Benz Services Malaysia records a financing portfolio of over RM2.8 billion attributing to a 2 per cent increment compared to the same period in 2018. With the continuous customer centric approach as well as exceptional customer services, Mercedes-Benz Malaysia serviced a total of over 40,000 vehicles in Q1 2019 – a 13 per cent growth compared to the same period last year. 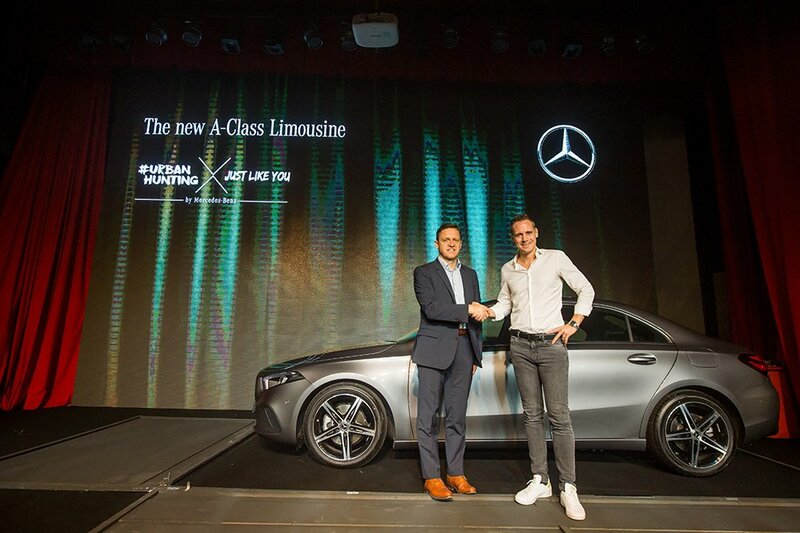 Kuala Lumpur, 9 April 2019 – In a challenging market environment, with natural seasonality and sales-driven by new model introductions, Mercedes-Benz Malaysia (MBM) successfully delivered a total of 2,944 vehicles to customers in the first quarter of 2019 and continues to remain its position at the top premium automotive brand in Malaysia. MBM showcased persistent strength, dominance and performance in the first quarter of 2019 with the introduction of five new variants – E200 SPORTSTYLE Avantgarde, E 300 Exclusive, E 350 AMG Line, GLC 300 Coupe and GLE 450 AMG Line, reinforcing its position as the undisputed market leader in the Malaysian premium automotive market. With the solid number of model launches, continuous enhanced customer services and experiences offered, MBM is looking forward to a challenging year ahead with its first-class customer experience as well as the introduction of an array of exciting new products to the market. The first quarter of the same financial year also saw Mercedes-Benz Services Malaysia (MBSM) records a financing portfolio of over RM 2.7 billion with an increase of 0.3 billion of year-to-date growth. MBSM financed four out five Mercedes-Benz vehicles sold and 50% of them were insured by MBSM. Over 40,000 vehicles were serviced in the first quarter of 2019 – a 13 per cent increase compared to the previous year. The positive growth volume of vehicles serviced is attributed to the extensive network of 35 dedicated dealerships nationwide.